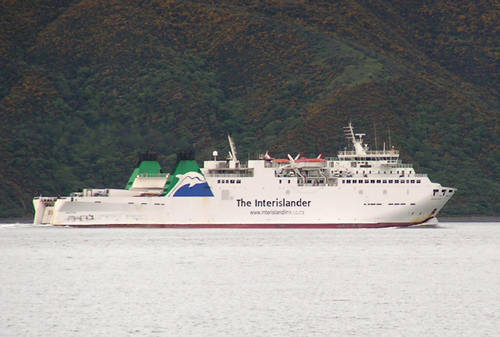 If travelling by InterIslander ferry from the North Island of New Zealand to the South Island your entry point to the beautiful Marlborough region is the lovely port of Picton. Despite a population of fewer than 4000 people Picton fair hums in summer as tourists invade to check out what the region has to offer - and believe me there is a lot. In Picton you can check out the Edwin Fox Maritime Museum, home of the world's ninth-oldest wooden ship, and the Ecoworld Aquarium and Terrarium. The aquarium is pretty cool and will have the kids entertained for a while. The beachfront is very pretty so if all you want to do is sit down with a drink before you head elsewhere then it is the perfect spot. From Picton you have two choices of direction. East, towards Blenheim and Kaikoura, or west towards Nelson, the Tasman park region, or the West Coast. We headed westward first as the travel times that way seem to be a little less precise than the major route between Blenheim, Kaikoura and Christchurch and we could make up any extra time later on in the journey. If you are heading to Nelson then your choices are a main highway or a windy 35km journey down the Queen Charlotte Drive. Even with two kids in the car that had to be the way to go as people had recommended it and so off we went. It isn't a hard drive - although it isn't fast - but the benefits are getting some terrific water views. The end of the drive is a town called Havelock, which is built on the junction of the Kaiuma and Pelorus rivers. It is renowned as the capital of green-shelled mussels - a delicious New Zealand seafood that you must try. Nelson is a lovely city in one of the most sunny climates in New Zealand. Relaxed but charming it offers beaches, good restaurants and some lovely gardens to wander through. The Queens Gardens, which are located in the centre of Nelson, have historic and rare trees, large ponds and an atmosphere of serenity. And Isel Park, which has a historic stone house as its centrepiece, is a six-hectare woodland garden with several trees that are the largest of their kind in New Zealand. Some date back to the very early days of European settlement in New Zealand. Spring is the best time to visit Isel Park as mass plantings of bulbs and perennials are at their best then. Oh and an eating tip - try the Hot Rock gourmet pizza and pasta bar in Tahuananui Drive in Nelson. The pizzas are glorious and the atmosphere excellent. From Nelson it's about 50 kilometres to Motueka and then it's on to one of the great hidden secrets of New Zealand - Kaiteriteri beach. This is a sensational spot with a lovely beach surrounded by islands and bushy promontories. Fantastic spot to swim, sunbathe or partake of the excellent fish and chips available from the local takeaways shop. Up the road from Kaiteriteri is Split Apple Rock. This is an amazing natural phenomenon where a large rock has been split into two and looks just like the sliced fruit. You can do a half-day kayak out to Split Apple Rock, or drive to just above the spot and walk down through bush to the beach. It is a very tranquil place and I have to say seeing Split Apple Rock is one of the great sights I have taken away from the Nelson region. You can also take kayak journeys from Marahau, which is north of Kaiteriteri and the main entry to the Abel Tasman National Park. In Marahau you can book trips to swim with the seals through Swim Seal where you take a 45-minute scenic trip on a water taxi to Tonga Island Marine Reserve. There you can hop into the water for an hour or so and have a great time with the playful seals. Swim Seal is an eco-friendly adventure that let's you join the seals in their natural environment and the operators say their trips take you to the warmest waters in New Zealand to swim with the seals. If you are into walking or hiking then the Abel Tasman National Park has been rated as one of the most beautiful in New Zealand. Along the 51-kilometre track, which will take you between three and five days to finish, there are scores of exceptional sea and landscape views. Also offering inspiring vistas is Takaka Hill - between Motueka and Golden Bay - and don't take any notice of tales of very windy roads it was fine to navigate. There are plenty of things to explore on Takaka Hill, namely the Ngarua Caves and a heap of very deep 'holes' that cavers keep getting trapped in. Two places of interest near Takaka are the Bencarri Nature Park and Cafe and the Waikoropupu Springs. The cafe is a top place to stop for a breather and to let the kids work off energy among a variety of farm animals and some pretty cool 'tame' eels that allow you to feed them. The springs, better known as the Pupu Springs, are the biggest freshwater ones in New Zealand and the water is clearer than you can possibly imagine. Further on is the town of Collingwood - and its driftwood bedecked beach - and then the spectacular Farewell Spit. The spit is a huge wetland that is a major bird sanctuary and also offers fabulous sand dunes that would make Lawrence of Arabia feel at home. This is a really restful part of the country to explore with lots of very interesting sights to see.